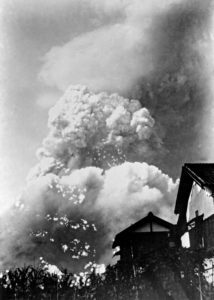 Seventy-three years ago this week, the United States dropped atomic bombs on the Japanese cities of Hiroshima and Nagasaki, killing more than 210,000 people in the immediate aftermath of the bombings. Many more died in the weeks, months and years following 1945, through the horrific short- and long-term, intergenerational effects on people of the blast, heat and radiation produced by the use of nuclear weapons. Since then, the testing of nuclear weapons has also had a devastating impact on communities, from the Pacific, through central Asia, to North Africa and North America, bringing environmental damage, long-term and reproductive health impacts, and the eviction of indigenous peoples from their lands. Many survivors of the atomic bombings, the hibakusha, as well as people affected by nuclear testing, have advocated tirelessly for the abolition of nuclear weapons, as well as for the recognition of their rights and for their suffering to be addressed. The Treaty on the Prohibition of Nuclear Weapons offers an opportunity to work towards both these goals. As more states join this legal instrument, the stigma and taboo against nuclear weapons will be built, eroding their legitimacy and contributing to a marginalisation of their role in international relations – conditions that are needed to achieve disarmament. The Treaty is also the first international agreement on nuclear weapons that obliges countries to take action on the health and environmental legacies of past use and testing. These obligations give an opportunity for the international community to renew their focus on responding to the rights and assisting the individuals and communities affected by these impacts, and to support sustainable development in affected countries. The Treaty recognises the gendered impacts of nuclear weapons, the disproportionate impact of testing on indigenous people, and the suffering and contribution of the hibakusha – all unprecedented in an international nuclear weapons agreement. With most hibakusha as well as the City of Hiroshima supporting the Treaty – and some hibakusha having particularly welcomed the Treaty’s obligations to assist affected communities and remediate contaminated environments – joining the Treaty would represent a recognition by Japan of its affected citizens’ rights and suffering. Continuing to oppose it on the other hand could be seen as a rejection of these. The same applies to other states with survivor populations that are currently rejecting the Treaty, such as Australia. The Treaty on the Prohibition of Nuclear Weapons, negotiated one year ago at the United Nations in New York, and so far 60 states have signed and 14 ratified it. The treaty is already having a practical impact on the financing of nuclear weapons producers, with major institutions divesting. And despite the positions of their governments, most Europeans with US nuclear weapons stationed in their countries want these removed and for their governments to join the Treaty. All countries must take steps to ratify the treaty – and fulfil its most immediate promise by responding the the humanitarian needs of survivors, respecting their human rights, remediating affected environments, and retelling their stories.